It may not be obvious why investing in knowledge is so valuable, in our always-online world. There is a common perception that learning activities that focus on problem-solving and reasoning provide the fastest path to mastery and that basic facts and methods can be looked up as needed. In actual fact, there is compelling scientific evidence that ready, active knowledge is essential to, and intertwined with, higher-order reasoning and expertise. Just as muscle memory for an instrument opens up the ability to play creatively and explore more complex musical structures, having knowledge in mind facilitates communication and understanding in novel situations, allowing us to think and reason more effectively, and to take in and retain new, related information. Recently, Cerego found direct evidence for foundational knowledge improving course outcomes at one of our experimental sites for Cerego Courseware (developed in partnership with the Bill and Melinda Gates Foundation). The University of Hawai’i at Manoa shared anonymized question by question performance on the final exam, allowing unique insight into both multiple-choice knowledge questions and more complex 10-point analytical questions that were designed to test deeper understanding of the material. Data from 98 students revealed that even after controlling for student ability (measured using prior grade point average, GPA), completing Cerego’s knowledge-building assignments improved final exam score overall by 12 percentage points - more than a full letter grade. Intriguingly, the effect was if anything higher on the analytical questions: learners who reached Level 1 retention in their Cerego assignments not only showed a 10 point increase on knowledge question scores, but a 16 point increase on analytical question scores. In other words, the retention level built in Cerego is not just a sum of foundational knowledge, but a powerful measure of the depth of understanding a learner has. Why might this be? One reason: students who engaged more with Cerego reported stronger foundational knowledge, but also that they were better able to follow and understand the lectures. The test data bear this out, too. Scores on graded quizzes, midterms, and exams were consistently higher for students engaging in Cerego, but the gap grew larger over time. In other words, a solid foundation of knowledge seems to have enabled students to engage more fruitfully with the course material as they progressed, leading to compounding achievement gains and a greater understanding and reasoning ability than expected for their GPA. Driven by our belief in the value of knowledge, Cerego’s product has grown far beyond the traditional ‘vocabulary deck’ of our early days of language training and now approaches conceptual understanding through many formats and contexts. 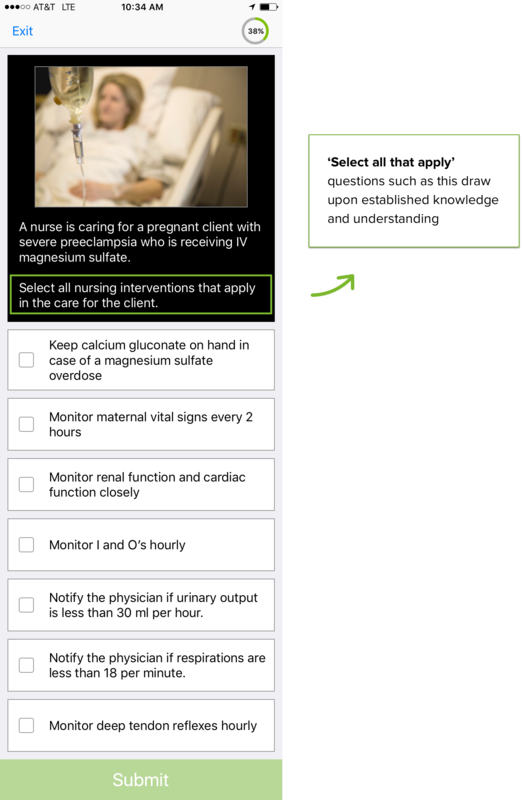 We are excited to see organizations from diverse disciplines build increasingly sophisticated learning pathways in Cerego - complete with a story arc starting with the context for learning (Instruct items), followed by core knowledge (Retain items), and knowledge in context (Apply Items). 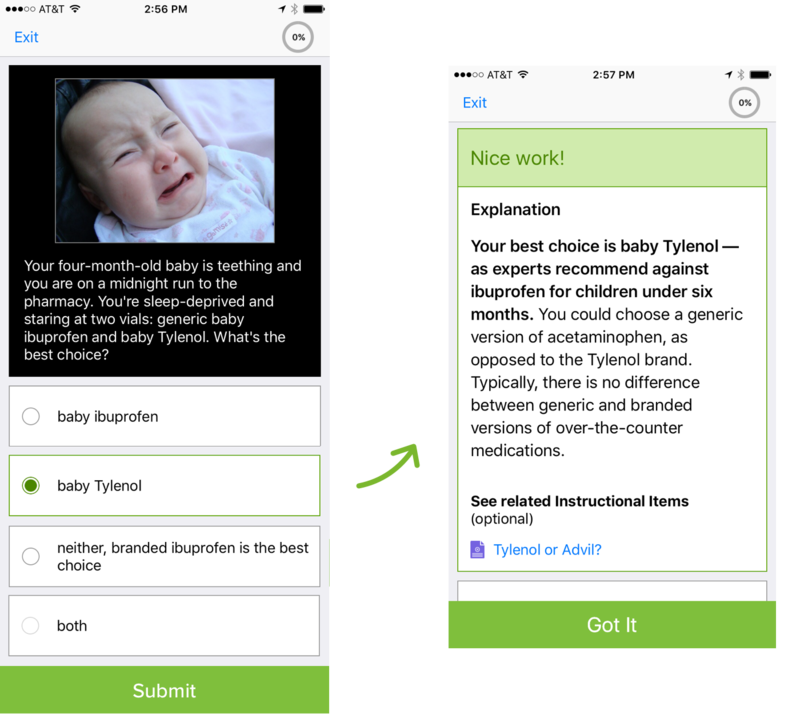 The way items are structured in Cerego allows for a rich and engaging learning experience. For example, instructional content can incorporate videos, documents or embedded interactive content, and SCORM packages can be integrated directly into Cerego courses. Concepts can be quizzed and presented in different contexts, for example, to learn to use a foreign language word or an important term in different circumstances. Visual region items can train a medical student to identify abnormalities on a scan, or a driver to spot potential hazards. Pattern items can also be used to learn diagnosis of a condition based on visible or described symptoms, or the recognition of a literary or musical technique in a snippet of writing or music. Application item types such as scenarios, sequences, and patterns are designed to build deeper understanding. 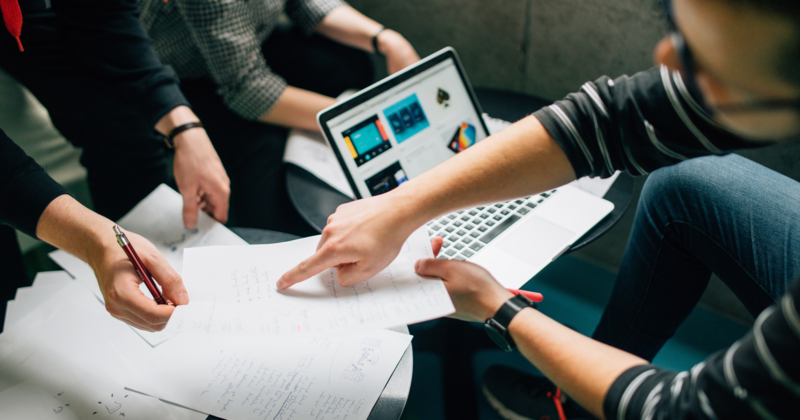 With these, instructional designers can equip learners with contextualized knowledge such as rules, procedures, and strategies for navigating real-world situations. In one example of a Scenario item, below, the learner draws upon prior knowledge and applies it to a concrete situation. After submitting the answer, whether right or wrong, content authors can offer a custom explanation and model correct reasoning, or offer further remediation by attaching an instructional item to review. 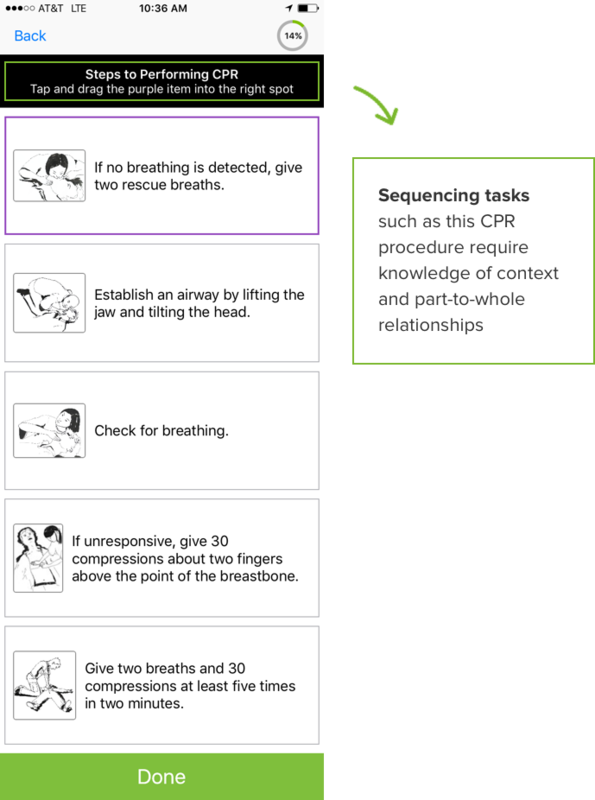 With Sequence items, learners can develop understanding for more complex, multi-step procedures. Knowledge for each step is tracked separately but presented in the broader context of the entire procedure. In this way, foundational knowledge provides the scaffolding for a more holistic and applicable understanding of the process. Cerego’s mission is to help the world learn - which means fostering creativity, critical thinking, and understanding. We’ve designed a platform around helping learners develop real mastery and understanding of a subject, from foundational principles to complex applications, procedures, and scenarios. You can explore some examples of learning in Cerego here!